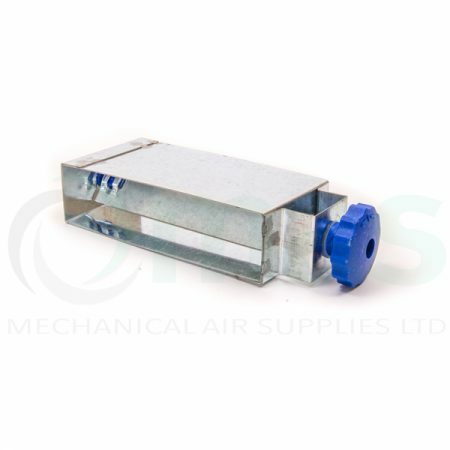 Metal Balancing Damper to suit plastic duct size 110x54mm. 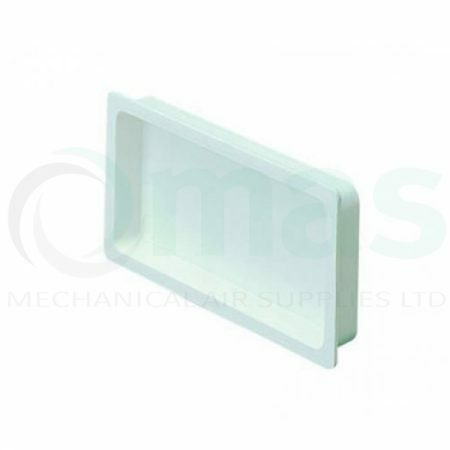 110x54mm (DOMUS System 100) straight connector with backdraft shutter. 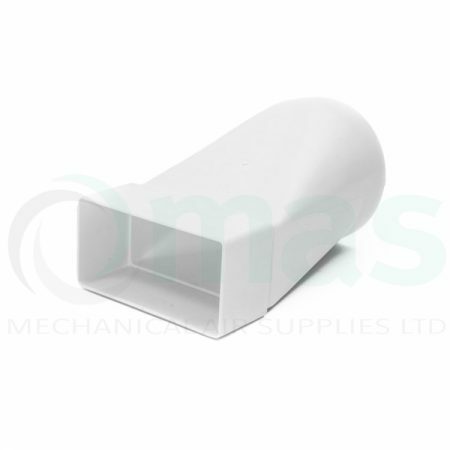 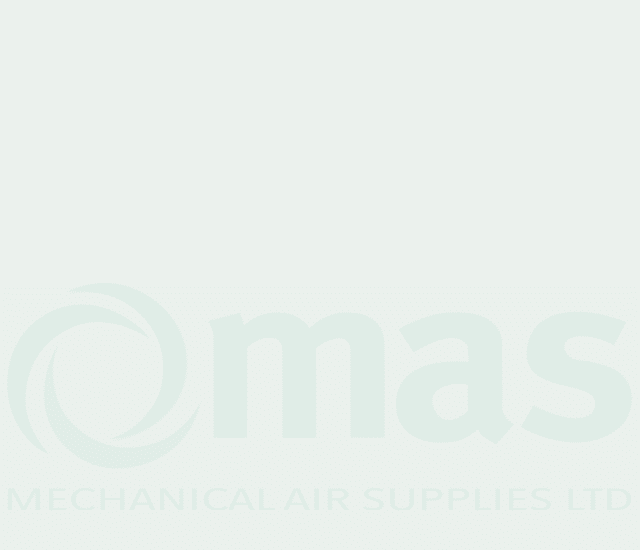 110x54mm (DOMUS System 100) plastic ventilation duct x 1.5m straight length. 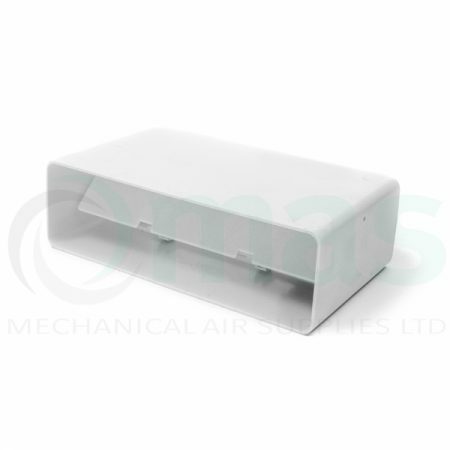 110x54mm (DOMUS System 100) plastic ventilation duct x 1m straight length. 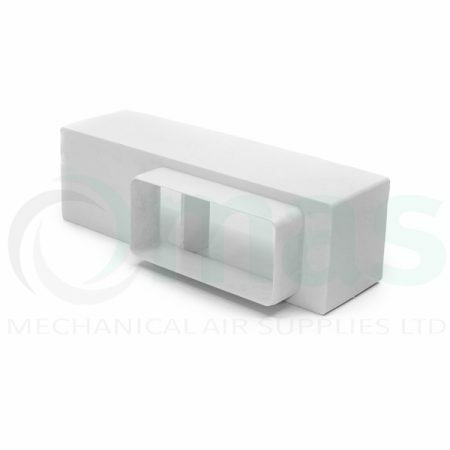 Airbrick adapter for 110 x 54mm rigid duct. 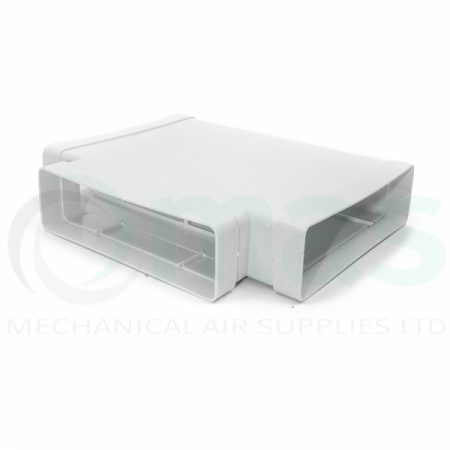 Allows a W210 x H69mm (204 x 60mm) plastic louvred airbrick (505BR, 505TC, 505COT or 505WH) to be fitted to system 100 duct. 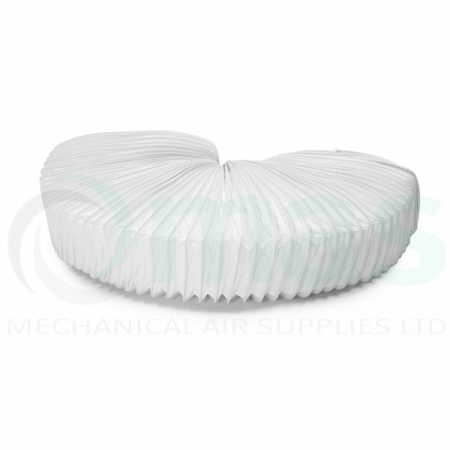 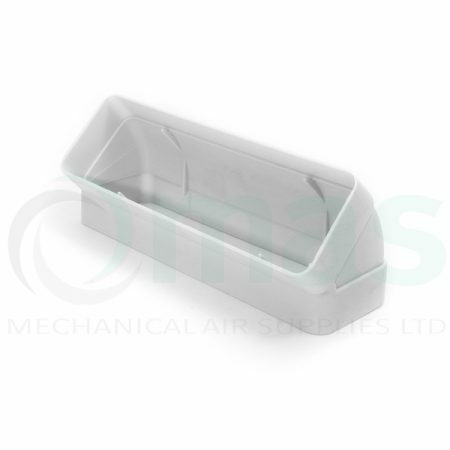 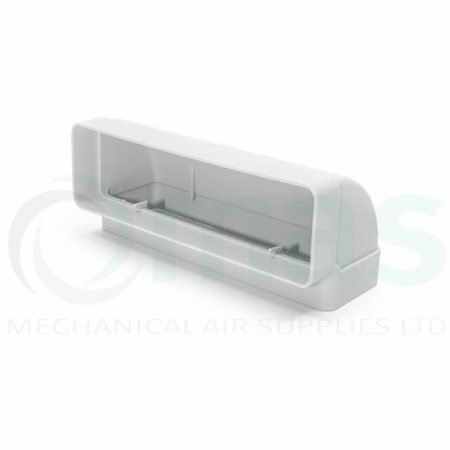 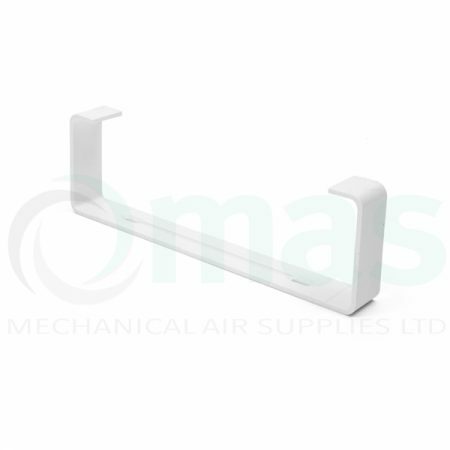 End cap for 110 x 54mm rigid plastic ventilation duct. 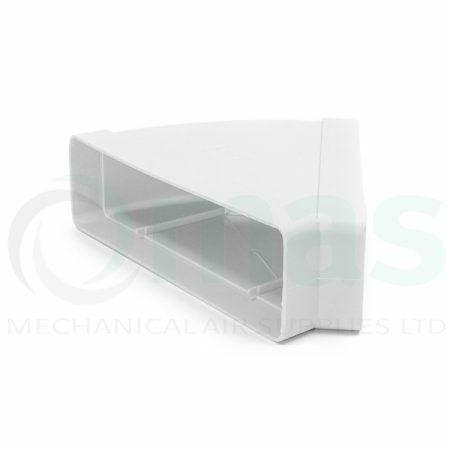 Horizontal Tee Piece for DOMUS System 100 (110x54mm). 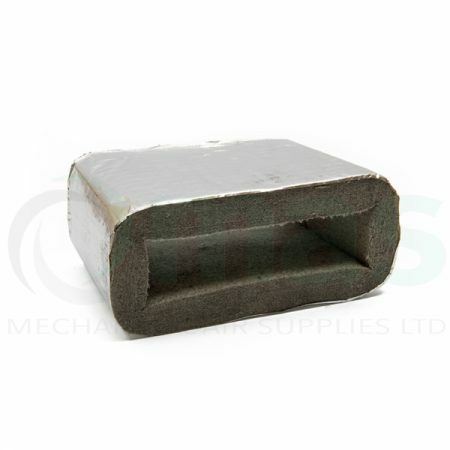 Rectangular to round elbow with Fixed Spigot for System 100 (110x54mm). 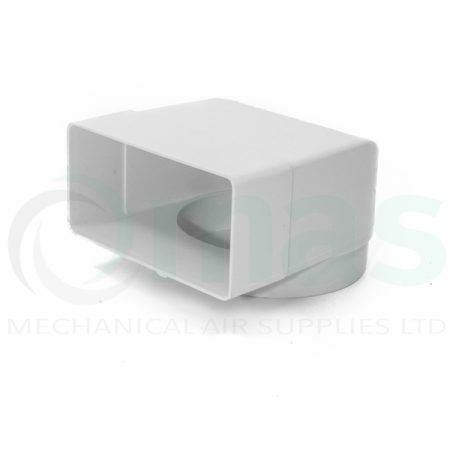 Round spigot has a 100mm external Ø circular plastic duct. 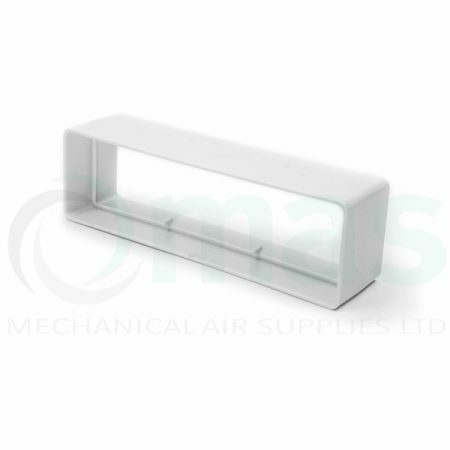 Rectangular to round in-line adaptor. 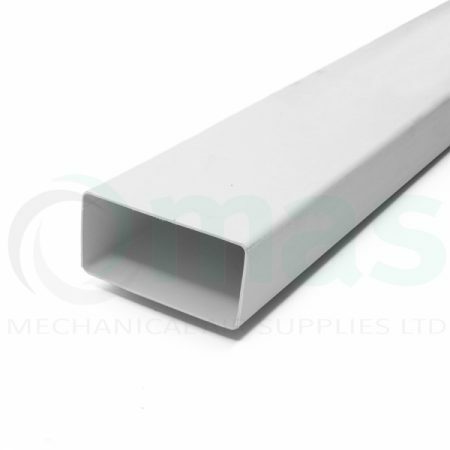 System 100 (110x54mm) to 100mm. 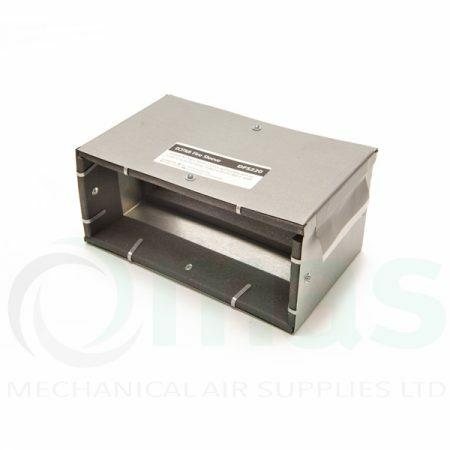 Fits over Domus 110x54mm duct to connect directly to Ø100mm o.d. 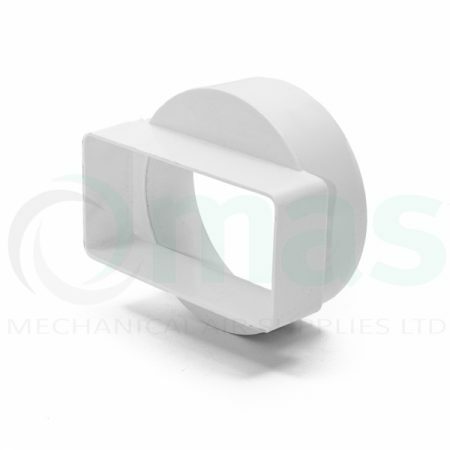 spigot or to Domus Ø100mm EasiPipe duct using a 493/494 or 495 connector. 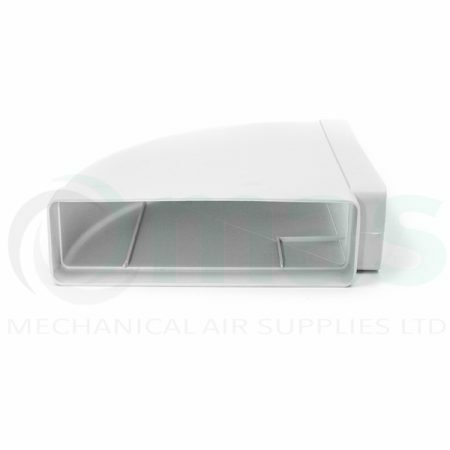 Vertical 45 degree bend for System 100 (110x54mm) rigid flat plastic duct. 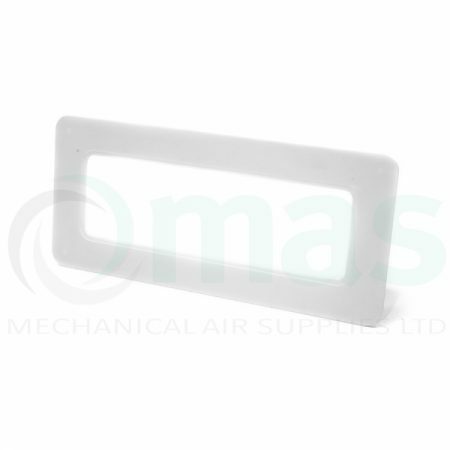 Square wall plate for 110 x 54mm Plastic Duct.